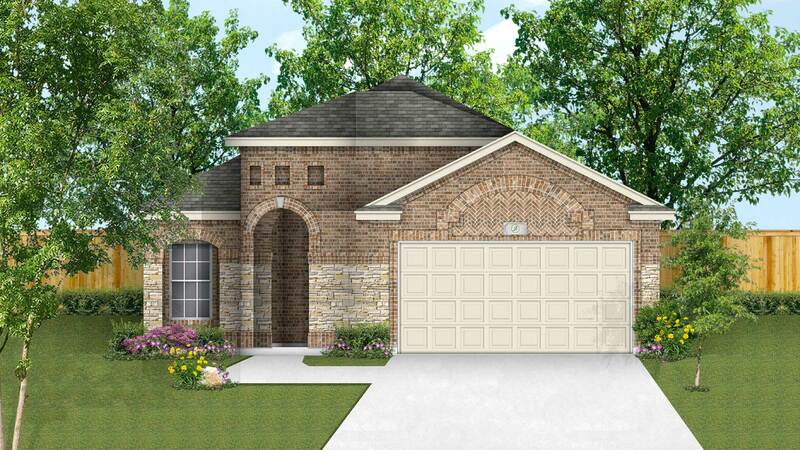 The Cypress is a great home for empty nesters, young couples or small families. Perfect for entertaining, this home offers lots of living space with a large open family room and kitchen/dining area. The gourmet kitchen features bar seating at the island, nice ceiling detail, a walk in pantry and lots of counter space. The dining area opens onto a nice covered patio for grilling and outdoor seating area. The large master suite has an entry nook that also leads to the laundry room, a large master bath with dual vanity, large shower with built-in seat, a garden tub, and a huge master closet. Bedroom 3 at the front of the home can be used as a home office, and bedroom 2 features a walk-in closet.